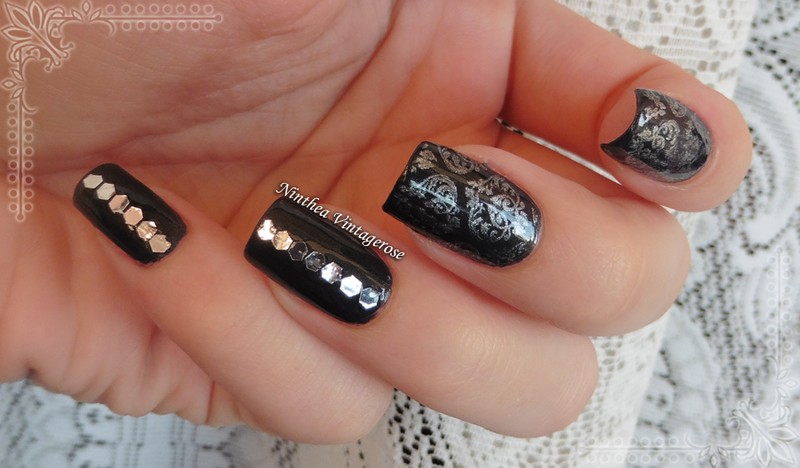 The today's nail art is very simple, some glitter placement and stamping. 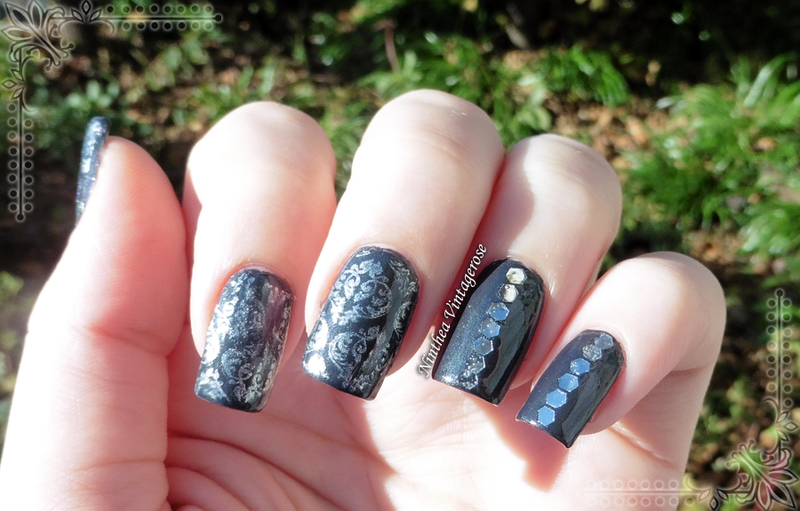 As the base color I used the Essence XXL shine Must have. 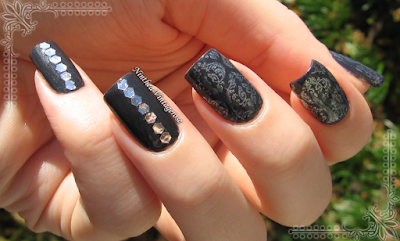 I decided to do a stamping on three nail and on the other two to use some glitters that I received from Lady Queen. 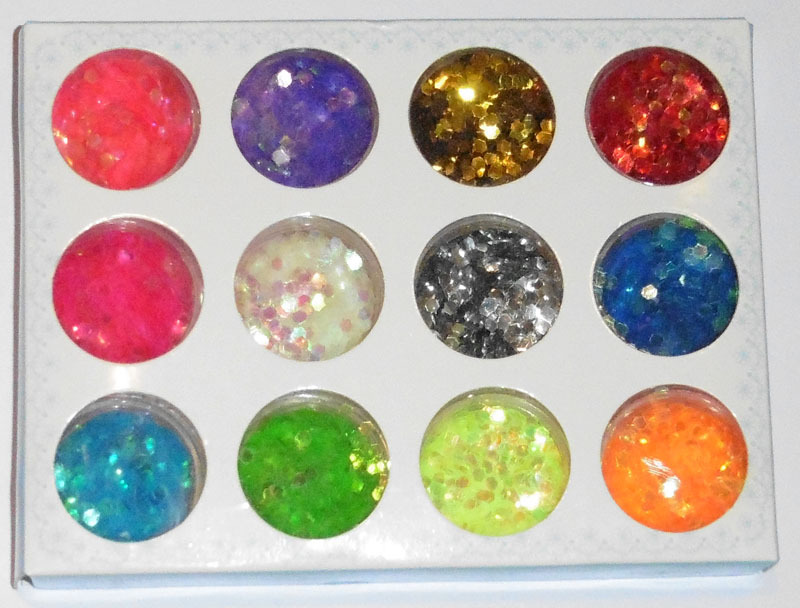 There era a lot of color to choose, I was thinking to do some mermaid inspired nail but in the end I chose something different. If you liked this decorations you can check the Lady Queen website. There interesting nail products. The shipping is free worldwide. Pečatiranje mi se veoma sviđa. Great stamping pattern - it goes well with these glitters! It is very elegant and beautiful! 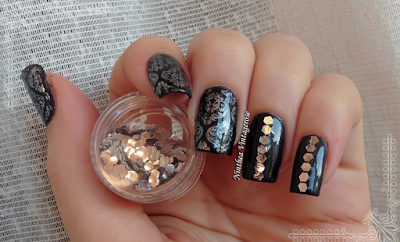 Look, you already did a mini glitter placement :D ! I really like your design, the combination of glitter and stamping looks great! Must Have è sempre stato uno dei miei Essence preferiti, anche se ormai è così vecchio! 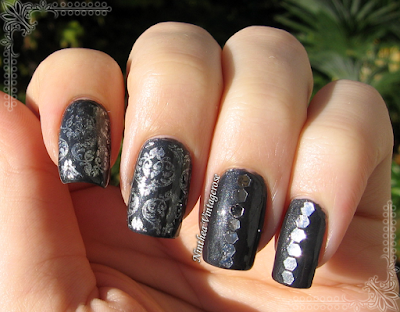 Adore these nails! 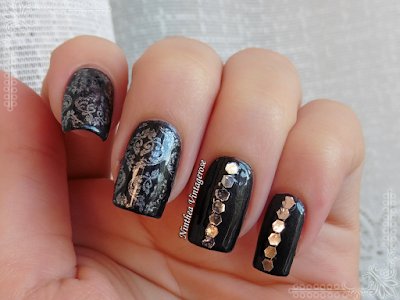 Really pretty design! It look simple and classy. I like it!